A special style of rifle is used when you’re out for plain varmint hunting. Some say hunting for smaller species is actually more challenging than hunting big ones. In times when you like to hunt small game, you’d surely want to check this current trend – the .17 HMR rifle. Why do hunters love it? For starters, its ammo travels fast at far distances with minimal ricochet. 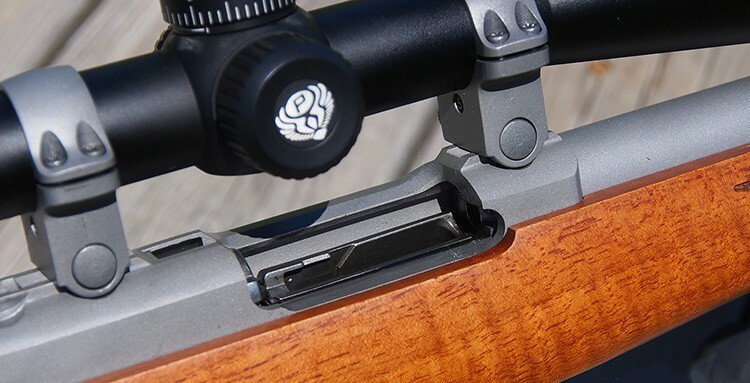 This article features the best .17 HMR rifles along with their advantages and disadvantages. The best rifle worth investing is something that would duly serve its purpose be it for pest control or just small game hunting. The rifles belonging to this type are usually bolt-action or single shot only. The following are some examples of the rimfire rifles which use .17 HMR caliber setting. Barrel Length 21" 22" 22" 20.5"
Length 39.5" 41.25" 41" 38.2"
This .17 HMR rifle is one of the best rifles if you’re on a budget. Though it’s cheaper compared to others, its quality and make is not something you’d want to underestimate. Its exterior is quite something to behold because of the smooth and glossy finish. You can pick either the camo finish or the plain wood-like (or walnut) finish. The external appearance of Savage 93R17 seems to be robust and dependable because of its heavy stainless barrel. The barrel is long measuring 21 inches and contributes to the overall length of 40 inches. Though the gun is heavy (at 7.5 lbs. ), it is noted that the balance isn’t mediocre. The bolt-action is smooth to use and ejects bullets with negligible recoil. Additionally, the heavy contour barrel has a 1:9” twist. When we tested the rifle, the fully-loaded magazine jammed when the first round is loaded. But it only happened in the beginning. So you could expect the same thing to happen to you too. The cycle through the magazine to the action will eventually smooth out after firing several hundred rounds. One more thing to note is the small tab found at the magazine’s rear. Though it aims to guide and stabilize the magazine before and during loading, it can be quite fiddly especially if when you’re in a hurry. The exterior of the stock is synthetic, but its inside is composed of metal. This adds to the rifle’s overall durability and not something to be used as just a spare. The Savage 93R17’s box magazine has a single stack design and can hold 5+1 rounds. 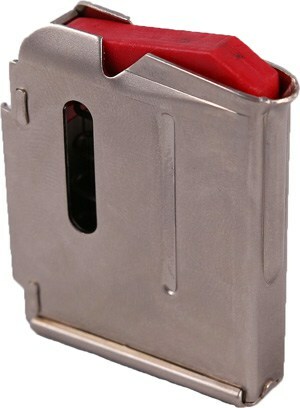 It is made of stainless metal and can be attached and detached in a two-hand operation. This .17 HMR rifle’s accuracy is reasonably dependable. At 100 yards, this can shoot many bullets in 0.75” groupings. And at 50 yards, the Savage 93R17 can hit 90% of the rounds fired. Perhaps the Savage 93R17’s main selling point is its AccuTrigger feature. This gives the shooter some flexibility to set the trigger pull depending on their preferences. It systematically lessens the time and money to go to a gunsmith to do it for you. Additionally, from its name alone, the trigger is said to instigate accuracy and precision with every shot. 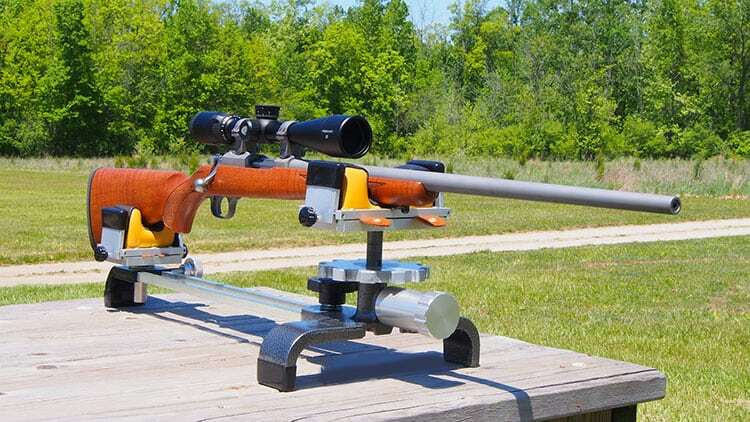 This .17 HMR rifle is the most expensive among those that are listed in this article. Despite its high price, it has justifiable superior features. 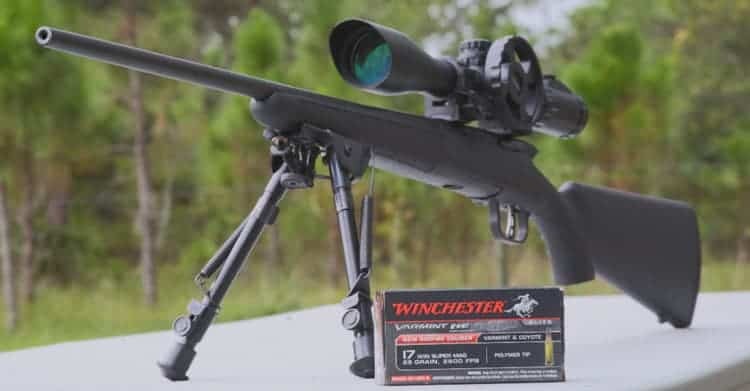 It’s considered as one of the most advanced rimfire rifles available, partly because it is known as .17 Winchester Super Magnum (or WSM). The bullets fired can range 2600 to 3000 fps. 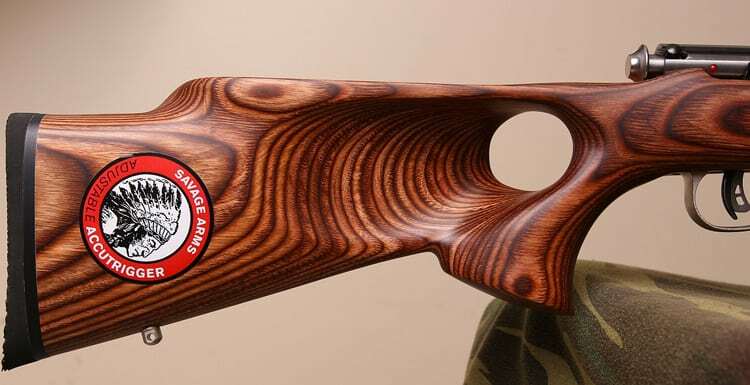 The physical appearance of Ruger 77/117 is something to be praised. It uses corrosion-resistant Target Grey metal and a gray/brown laminated hardwood stock. It looks fairly professional and aesthetic at the same time. Additionally, the blued barrel of this one is measured to be 22 inches and gives an overall length of 41.25 inches. Although you could observe the Ruger 77/17 is quite longer compared to Savage 93R17, it retains a lighter weight than the latter. Its weight measures 6.5 lbs., leaving a difference of 1 lb. This model comes with a detachable rotary magazine with a 9+1 capacity. It fits perfectly to the bottom of the stock to effectively eliminate protrusions. The individual cartridges arranged inside the magazine are duly separated, and the stainless steel feed point assures minimal wear. Moreover, although the magazine is not metal all throughout, its body is made out of thick and hard nylon polymer. Most users testified that Ruger’s magazine system is one of the bests for rimfire rifles. We could say the Ruger 77/17’s accuracy is truly remarkable. It stays accurate even beyond 300 yards! Ruger 77/17 is a perfect varmint rifle because there’s a negligible recoil to be felt. To make shooting safer, Ruger comes with the three position safety system which operates the same as Ruger M77 centerfire rifle model. The forward position means “fire” and the rearward position that locks both of the trigger and bolt means “safe.” The middle position may lock the trigger but not the bolt which is for safe reloading. As you could expect, all products have their drawbacks. For Ruger 77/17, the said drawbacks can vary from user to user. One example is the heavy trigger which can be hard to pull. You must be strong enough to pull 5-6 lbs easily. Note Ruger doesn’t allow you to make adjustments on the trigger. Another thing to ponder is scope installment. You could observe the included scope rings to be too high and can be a little bit mismatch when it comes to gaining a wide field of view. One of the alternative remedies is to use lower scope rings. Though iron sights aren’t included in your purchase, it has included scope mounting bases and steel rings. This model belongs to Marlin’s XT series along with the XT-17R, XT-17V, and XT-VSL. The things that make the four of them different from each other are the materials or finishes used: either blued or stainless steel bolt-action barrels. The stock materials used also differ for each model. We highly recommend the XT-17VR if you’re on a tight budget and still want to invest in rimfire rifles that can send bullets at 2500+ fps. This XT-17 model has a heavy blued barrel and a laminated wood stock constituting to its physical appearance. It emits durability and a classic aura despite its lower price compared to others. The slick bolt-action barrel measures 22 inches. Additionally, the blued barrel has a 1:9” twist rate. The barrel length contributes to the overall length of 41 inches. The rifle remains to be lightweight at 6 lbs., making it the lightest .17 HMR rifle we feature in this article. Likewise, it has good balance point which makes things very right for your comfort. This XT-17VR rimfire rifle comes with both 4-shot and 7-shot detachable clip magazines. The latter choice is best suited for a target-rich environment while the former is for longer walks and when you hold the rifle on the bottom or slung over your shoulder. We found out the gun is crazily accurate, and at 100 yards, the shots hitting the bull’s eye have high probability. There are lots of times that the Marlin XT-17VR had been compared with Savage 93R17 regarding accuracy. At 100 yards, bullets fired by the Marlin rifle are in 1” groupings. In fact, there’s not much difference between the two, making them good quality guns despite belonging to the lower price range. Marlin XT-17VR rifle’s strong point is its adjustable trigger. Once you have set your preferred adjustments, it results to consistent trigger pulling with an ultra-clean break. It’s similar with Savage’s AccuTrigger. It guarantees your safety and helps you fire shots accurately. You could expect the rifle to be accurate up to 140 yards. Beyond that distance, the precision and accuracy gradually diminish. It’s only natural because it has lower specs compared to the more expensive Ruger 77/17 rifle. The Marlin XT-17VR’s heavy barrel is good for hunting medium range varmints. However, it’s not recommended to haul the rifle around all day. This .17 HMR rifle comes with front and rear scope bases. They are essentially drilled and tapped at the top of the barrel. As evident from its name, CZ 455 is a rimfire rifle designed “by the Americans for the Americans.” It was developed and engineered for several years before it reached the market. As a result, you could guarantee the usage of CZ 455 results to high quality and longer lasting service. CZ 455 has eleven different variations, and each of them targets different market groups. The calibers may range from .22 LR to .17 HMR and the model may have no sight or with scope bases. Its price is slightly higher than the Savage .17 HMR rifle, but the CZ 455 is a bolt-action type rifle with an aesthetic appearance. The 20.5-inch blued hammer-forged barrel contributes to its overall length. The rifle measures only 38.2 inches, and we find it reasonably lightweight at 5.85 lbs. 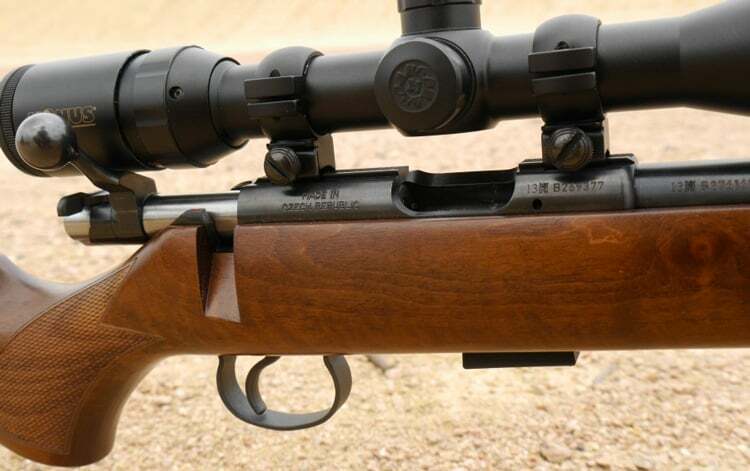 The rifle length along with the weight are the smallest among the four rimfire rifles featured in this article. As an additional info for its exterior, its stock material makes use of walnut. The CZ 455, being the updated version of CZ 452, takes advantage of many innovations for an improved accuracy and smoother operation. The CZ 455 boasts an interchangeable barrel system wherein you can change barrels when you’re changing calibers and magazines. CZ 455 makes use of a 5+1 round detachable magazine wherein it is positioned in such a way the bullets presented directly in front the chamber are fed directly and smoothly. Furthermore, like the other two mentioned, CZ 455’s trigger is also adjustable. It can be adjusted through the small lock nut found when the action is parted from the stock. This .17 HMR rifle’s accuracy is reasonably excellent. Shots fired at 50 yards have their groupings ranging from .75” to 1”. It can maintain its excellent accuracy up to 150 yards. Some can agree that the magazine is flimsy. Feeding can be an issue regardless of what ammo you used when it’s fully-loaded. The machined receiver has the same finishing as the bluing of the barrel. 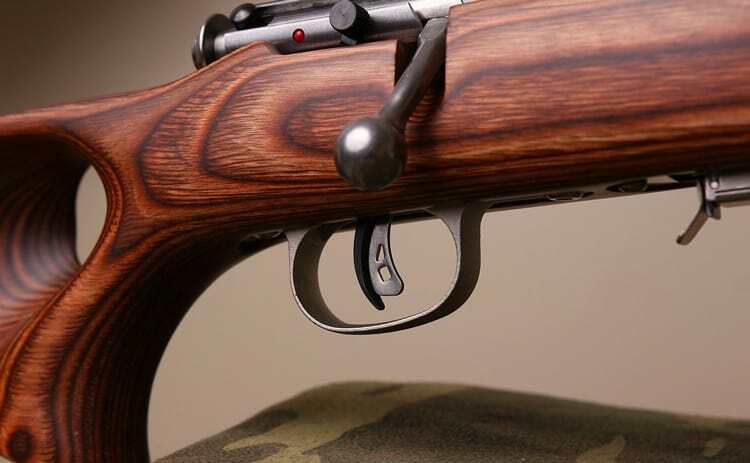 Though CZ 455 has no sights included, there are optional CZ rings available. .17 Hornady Magnum Rimfire (or HMR) is a type of rimfire rifle ammunition developed in 2002 by Hornady. Rimfire is a method of ignition in which the firing pin of a weapon gun strikes and crushes the rim of the bullet case to ignite its primer. It’s different from the centerfire rifles where the firing pin strikes the bullet’s center. The cartridge of a rimfire rifle cannot be reloaded again because the firing pin impact has severely deformed the cartridge’s head. .17 HMR is a descendant of .22 WMR, and it has a lot of advantages over it. The .17 HMR’s physical description includes a smaller formed neck and generally weighs 15.5 to 20 grains. As mentioned earlier, this type of bullet is best suited for hunting small targets. Though it is less common than other types of ammo, it can reach velocities from 2350 to 2550 fps and has a flatter trajectory. Being under the rimfire ammo category, you can expect .17 HMR to have lower recoil. It won’t hurt your accuracy when you’re out hunting in long distances. A .17 HMR rifle is not short on disadvantages. Of course, every product has its setbacks, and as a buyer, you should know all about the product before you buy it. The .17 HMR can be overly destructive in close ranges when you hit small animals. Its penetrating power is too high that the animal hit would look like a mess. Keep in mind this special rifle is best used beyond 80 yards (recommended). The best .17 HMR rifle that you can find is something that suits your preferences and shoots bullets at top distance ranges. This type of rifle is designed for long distance shooting, and as such, its accuracy is something to ponder upon. 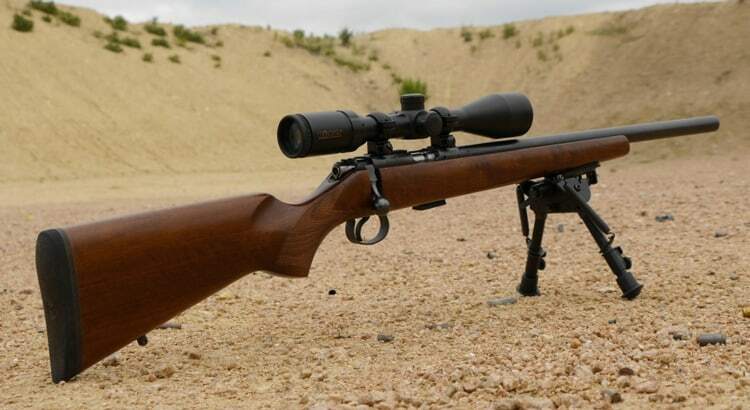 Of course, some other factors are needed to be considered but through our reviews given above, you will see what makes a particular .17 HMR rifle a first-rate choice. You are spreading misinformation when you imply that the Ruger above is shooting 17HMR. The Winchester Super Magnum or WSM is NOT the same cartridge, and the two are NOT interchangeable. I have a Savage 93R heavy barrel fitted with a Nikon Prostaff 4-12×40 and a bipod. The barrel, action and trigger are excellent. The synthetic stock is flimsy and crappy. The magazine fit is embarrassing. But I can consistently hit a golf ball from 100 yards. I typically use CCI 20 grain FMJ’s. The heavier bullets group a little tighter and buck the wind a little better. I’m hoping an aftermarket stock will improve the fit of the magazine.